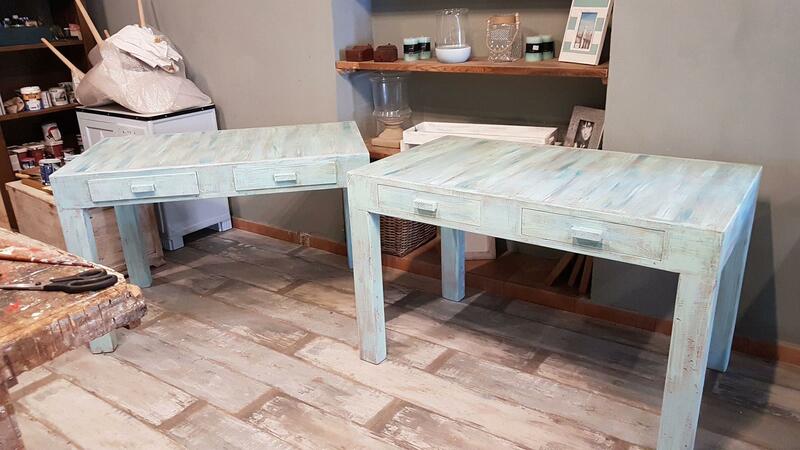 If you want to give a new look to your home and you are looking for a decoration shop in Mallorca, in La Mesa Grande you will find furniture of all styles manufactured in the best quality woods. We design and manufacture all types of custom furniture, dressing every corner of your home with tables, cabinets, beds, headboards, coffee tables, coffee tables, corner tables, benches ... always in a completely handmade way. For this we have our own workshop. You will only have to tell us what kind of furniture you need, the style you are looking for and the measurements, we will take care of everything. We use all types of wood, always of the best quality (pine, oak, new oak, almond ...) and you will have the option to choose the finish and the color that you like the most. Are you a lover of antique furniture in rustic style? At La Mesa Grande we are expert professionals in restoration of antique furniture. We clean the piece, and we give it back its original appearance, even if the piece has paintings or prints. As lovers of the environment, we believe that the recycling of materials is very important to achieve a sustainable planet. We give a second life to those items that we no longer use by reusing the wood in which they are made to create new furniture. Do not think about it anymore, come and meet us and give your house the style you've always dreamed of.